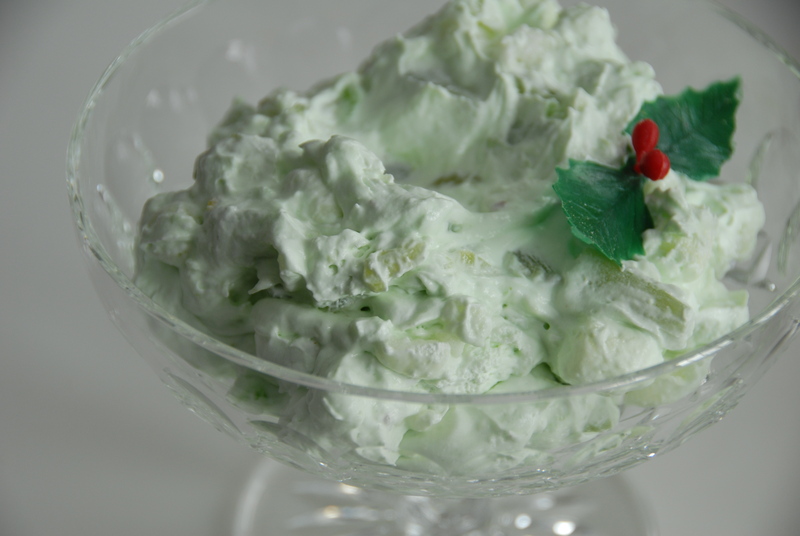 It may not be the most elegant dish to grace the holiday table but no Christmas is complete without this light green pudding. Jell-O might call it “Watergate Salad” but in our family it’s always been known as either pistachio pudding, or more affectionately, as “fluff.” Amidst the cookies, ham, beef tenderloin, clam chowder, stuffed mushrooms, dips, crudites and more, it stands – the humblest of dishes – bringing smiles to our faces and a good dose of festive cheer. In a large bowl…Empty 2 boxes of Jello-O brand instant pistachio pudding mix, 1 16oz can of pineapple tidbits and 1 16oz. can of crushed pineapple with all the juices. Stir to incorporate. Then mix in a large container of Cool Whip, again 16oz. Add 2 cups of mini marshmallows, mix and put in the refrigerator to set. In the words of Ina Garten, how easy is that? This is a doubled recipe that will feed a crew – I’d say about 16 heaping servings. This probably will be one of the more simple and dare I say “semi-homemade” dishes to be featured in our blog but hey, you can’t mess with tradition, especially at Christmas. 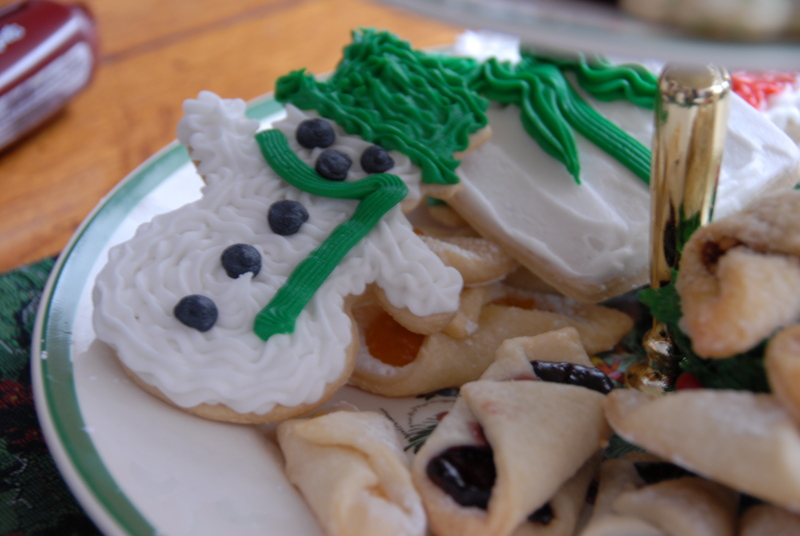 This entry was posted in Festive Cheer and tagged cheer, Christmas, cool whip, festive, holiday, Jell-o, marshmallows, pineapple, pistachio, pudding. Bookmark the permalink.